Brooklyn, on its own has a population of over 2 million, making it one of the most populated counties in the nation as well as the New York Metropolitan area. As such, you can expect a great variety of Brooklyn lawyers available to assist you with you legal issue. Although there are lawyers all over new York city, if your case is no proceed in a Brooklyn court, you should consider having a Brooklyn lawyer who will be familiar with the legal professionals, traditions and local laws that may prove to be an edge curing your legal matter. How are laws unique in New York City? While not a serious issue, the New York City smoking ban is one example of a local ordinance that is different from state and federal laws. In New York City, it is illegal to smoke inside all restaurants and bars as well as public parks. Violators could be charged with a $50 fine for disobeying this law. while you will not find yourself in legal trouble or need a lawyer for a violation of this law, there are other more important laws, such as laws against firearms that follow this trend of strict enforcement or local laws, necessitating having a local Brooklyn lawyer. What are organizations of Brooklyn lawyers? The Brooklyn Bar Association is an important organization for Brooklyn lawyers. The primary functions of the BBA are professional networking and providing continuing legal education classes. The BBA also has its own lawyer referral service that is backed by the American Bar Association. There is a fee of $25 to use this service, but this fee is waived for workers’ compensation, personal injury and Social Security matters. All Brooklyn lawyers in this service must have malpractice insurance and are vetted before becoming part of the service. There is also a fee dispute resolution process and a volunteer lawyers project to help needy Brooklyn residents. The New York State Bar Association is the voluntary professional organization for lawyers in New York State. It provides professional mentoring, ethics opinions and other critical services for new and experienced lawyers alike. The NYSBA does have a lawyer referral service, but it does not do referrals within New York City. Your Brooklyn lawyer may be a member of the NYSBA and you may use membership in this organization as an indicator of legitimacy and professionalism. The New York City Bar is the primary voluntary bar association for New York City lawyers. Among the important functions of the NYCB are providing professional counseling, Continuing Legal Education classes and networking opportunities. There NYCB also engages in legislative advocacy, working for more fairness in the legal system and hosting workshops on key legal issues. Together with the New York County Lawyer’s Association, these organizations provide the Legal Referral Service, which can refer New York City residents to a lawyer in a number of specific areas, including family, injury and malpractice law. There is no cost to use this service and all participating lawyers are prescreened to determine their suitability. The lawyer will charge up to $35 for a half hour consultation but the fee may be waived depending on the lawyer and the nature of the legal matter. 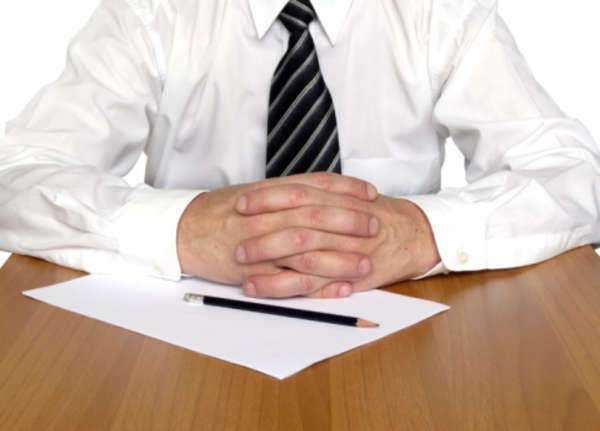 What are the typical rates of a Brooklyn lawyer? The retainer is the most common fee arrangement for a non-injury or non-litigation case. In this arrangement, the client fills a trust account that the Brooklyn lawyer will bill for services provided. The nature and cost of these services is determined in advance, usually during or directly after the initial consultation. The account is refilled at the discretion of the lawyer and this will be expensive, depending on the length of the legal matter. Brooklyn injury lawyers will generally work on contingency for these types of cases. In this arrangement, the lawyer will collect a percentage of the jury award, usually around 33%. That fee may be subject to legal caps and the approval of the court. Courts may impose caps on contingency fees if these fees are perceived to be too high. You may be able to work with your Brooklyn lawyer to pay a lower contingency fee if the case is settled out of court, which would eliminate the imposition of punitive damages and other potential benefits. Legal aid clinics, usually provided by community and academic institutions in conjunction with local Brooklyn lawyers will also be able to help with non-trial legal issues and questions. The Brooklyn Bar Association Volunteer Lawyers Project can provide legal assistance as long as you fall below the federal poverty level and meet a certain threshold, determined by the type of legal help you need. You can be represented in a family, consumer or elder law case or receive an uncontested divorce through the VLP. You will need to be able to communicate effectively with your Brooklyn lawyer to ensure your needs are met. You will also need to define under what circumstances you will contact your lawyer. Some lawyers will bill you for questions answered over the phone or internet so be aware of these fees in advance. Remember to utilize the BBA and other fee dispute resolution services if you believe you have been overbilled or otherwise treated unfairly by your Brooklyn lawyer. This will help you resolve the fee dispute and be compensated for losses, if the mediators deem it necessary. Professional conduct is important and Brooklyn lawyers that constantly feud with other lawyers or fail to display proper decorum in court will greatly compromise your case. Ensure that your Brooklyn lawyer is professional and ethical before continuing your relationship and accepting legal services. What are questions to ask Brooklyn lawyers? How much do I pay for the initial consultation? Are you an active member, in good standing, of any state or local bar association? Have you been disciplined by any regulatory body? What are my options if I have trouble affording standard legal representation?